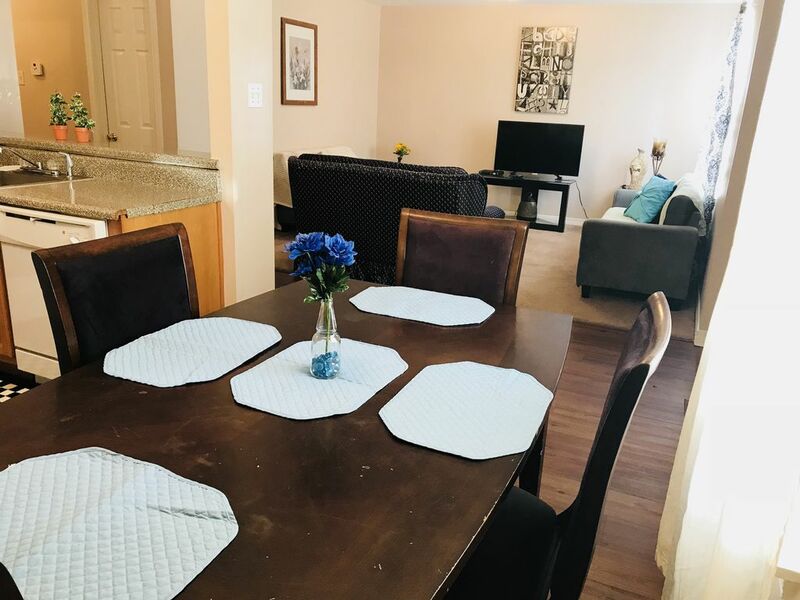 Lovely place for family, couples, business travelers... Great location, 5 minutes walking to the Biloxi Beach, close to KAFB, Coliseum, restaurants, fast foods, gas station, grocery store, recreation, fishing, and entertainments. The closest casino is only 2 minutes driving. The apartment is spotless clean, neighbors are quite, pleasant, and friendly. The space has, high speed internet, on living room has a large and comfortable sofa, a 43-inch flat screen, Smart TV, Netflix, WI-FI, and basic channels. Have two large bedrooms with comfortable beds. There are two full bathrooms, one for each bedroom. We provide bath towels, toilet paper, hair dryer, iron, shampoo, body wash, and hand soap. The kitchen is stocked with plates, silverware, glasses, coffee cups, pots/pans, utensils, toaster, coffee machine, blender, can opener, etc. The kitchen have everything (new) that you need for cook. We are always available on your check in and during your stay. Full Kitchen, everything you need need for cook. Nice place for price. Can hear neighbors walking upstairs that was annoying. Neighbors very nice. Apartment was a little musty maybe needs new carpet. The property was great a little far from the casinos though. Great for two people maybe even four people. The only thing is that private laundry area would be nice. The unit was clean and neat however the area left quite a bit to be desired. You get what you pay for, the master bathroom has no water pressure and toilet will barley flush, shower barely produces water pretty much unusable, obviously needs some work. Although parking is right in front of unit, can't count on the spot being empty, as the complex is "home" to many people there also seemed to be a lot of people coming and going and parking wherever. The other big issue is the television, if you are Roku literate probably not a problem, but no instruction on how to use and how to watch actual live TV. For a short term stay unit would be fine, otherwise pass. This was a wonderful stay. The location was very convenient to the beach, restaurants, and the event we came into town for. Very clean. Plenty of bed space. I would definitely return. It was ok for the $$. It was ok for the $$. Had noisy neighbors. The train happened by 12:30 & 3:30 every morning. Apt was very clean. Due to construction in the parking lot we had to park a great distance from the unit, but overall we enjoyed our stay.